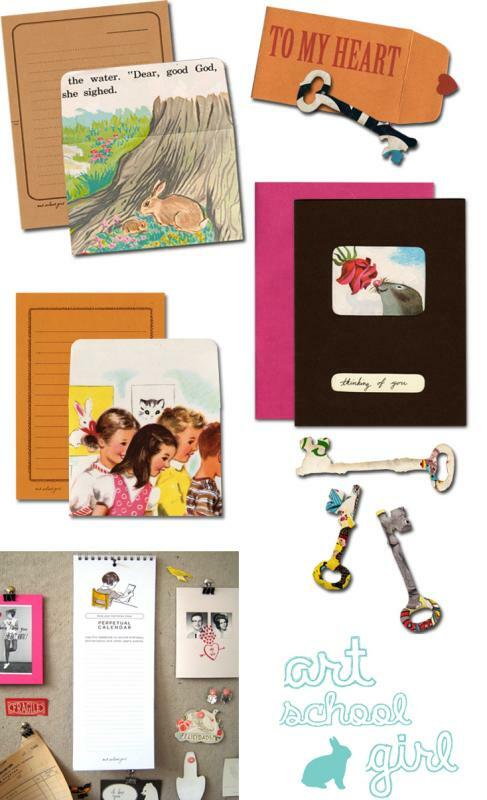 A twitter contact of mine, MeanMillies, just sent me a tweet about Art School Girl in Chicago thinking I'd like the paper products and... she's right! Such sweet finds here. Art School Girl is Amy Rowan who has a passion for paper and a love for specialty printing processes and so she specializes in one-of-a-kind paper goods that are made by hand. She uses recycled materials that she often prints and sews by hand. So special! I love when readers tweet me with their finds. Thanks, Millie!